Recently I gave three lectures at the spring New Life Expo, in New York. One for each day on different subjects. Friday, Saturday and Sunday. 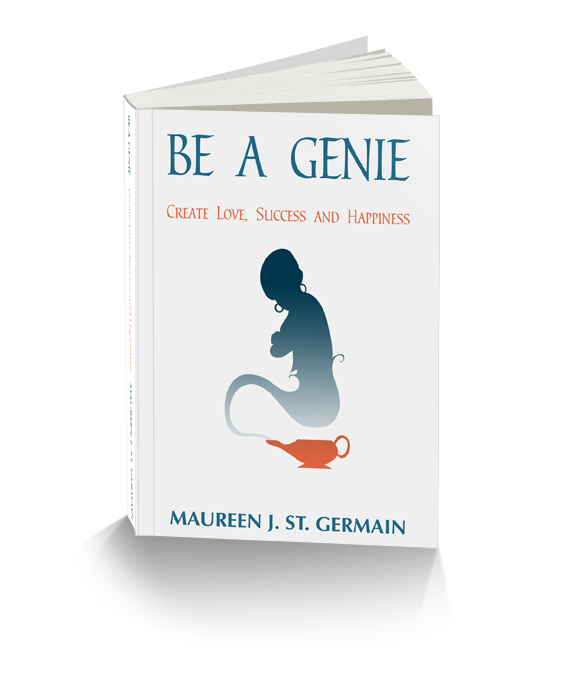 My first presentation was based on the principles and practices in my latest book, Be A Genie. In it, I teach people the secret formula (the Phoenix Sequence) for manifestation, and why it is important to understand it and most importantly how to use it. One woman, in the class, upon winning the “door prize” of a copy of the book, stood up and said, I used the Genie system to win the prize. She didn’t even know WHAT the prize could be, but was determined to win. She won a copy of Be A Genie! Another woman at the class, Susan, who had been on stage with her “heart’s desire” training and experienced a radical transformation in front of the room filled with people, cornered the winner on the way out of the room at the end of the lecture – to learn the exact details. Susan had shifted radically from who she was at the beginning of the session, no longer doubting her heart’s desire, to KNOWING, she had experienced it. That practice session, in front of the large audience, being on stage with me, had changed Susan powerfully and she wanted to know more. What about the ethics of doing this? Why can’t you do it? Well, in my opinion, there’s nothing wrong with their doing this. It’s likely and possible that no one else had any energy on the exact winning of that door prize that day. Can you do it? Very likely. In fact, I even used it to win a contest – and although the results contained some things even I didn’t expect, I did achieve the outcome desired. I challenge you – why NOT you? Maybe you should read the book and find out how. I used to be embarrassed about being too successful. After all, I didn’t want people to be jealous of me. Then I realized one day, the people who were likely to be jealous were the ones who weren’t doing their part, weren’t showing up – and for sure wanted what I had, but were unwilling to learn, change, grow and evolve in order for that to happen. That’s when I quit focussing on those people and instead began to notice I could help a lot of people, lovely, eager, interested people, in achieving their heart’s desire! I’m proud of that legacy. You can do this – and I’m here to support that!